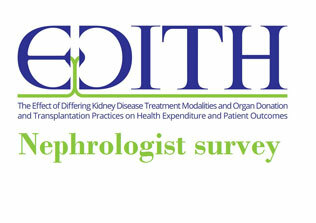 The European Certificate in Nephrology – helpful information from those in the know! Prof. Fox is a Consultant in Nephrology at The Glasgow Renal and Transplant Unit and current European Renal Best Practice (ERBP) Chair. He is heavily involved in both post and undergraduate medical education and was Specialty Lead for the UK Nephrology Specialty Certificate Examination from its inception until 2017. He is a member of the UEMS Renal Section and was Secretary-Treasurer of the ERA-EDTA (2014-2017). Prof. Cannata is Professor of Medicine at the University of Oviedo, Spain. 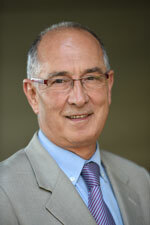 He is Director of the Bone Research Unit at the Instituto de Investigación del Principado de Asturias ISPA, Hospital Universitario Central de Asturias. 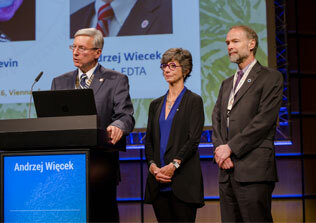 Universidad de Oviedo, President of the UEMS (European Union Medical Specialties) Renal Section and Boards, Past Chair of the Education Committee (CME) of the ERA-EDTA and ex-President and Secretary-Treasurer (2002-2008) of the ERA-EDTA. 1. Why do you think the exam is useful? The European Certificate in Nephrology (ECN) examination is based on the UK Specialty Certificate Examination (SCE) in Nephrology which was introduced in 2009. One of the aims of the SCEs was to ‘ensure that certified specialists have sufficient knowledge of their specialty to practice safely and competently as consultants’ and, in the specialties that have them, passing is a requirement for completion of training. 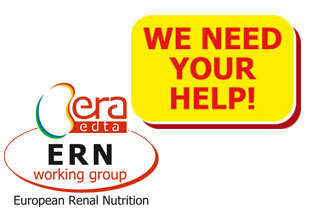 The ECN has a similar aim, which is to demonstrate that a successful candidate has ‘achieved the knowledge necessary to fulfil the requirements of the curriculum (http://era-edta.org/CKJ_Published_paper.pdf), which is a Europe-wide description of the level expected of a specialist Nephrologist. Possession of the ECN is, at present, a requirement for completion of training in only one country (Switzerland) but others may follow, particularly those smaller countries where the resources required to create a national examination would make it unfeasible. At the moment, therefore, for most potential candidates, taking the ECN is optional, and I believe there are several motivations to do it. Some trainee nephrologists and, indeed, some established specialists, may wish to confirm that they have, or can achieve, an acceptable level of knowledge of nephrology. Others may feel that the possession of the ECN will confer an advantage in seeking employment either in their home country or abroad, even though it is not a requirement. The exam may help to harmonize the specialty of Nephrology in Europe and it may be useful to avoid barriers between European Countries and facilitate movement across Europe for the Nephrologists. Others may simply like collecting qualifications! It should be stressed that the ECN is a test of knowledge, judgement and problem-solving ability which complements, but does not replace, other forms of assessment, such as testing of practical skills or other workplace-based assessments. Those nephrologists who have passed the exam generally regard it as having been a very useful incentive to improve their knowledge across the whole range of nephrology, and feel more able to understand and manage conditions of which they were previously relatively ignorant. Of course, those that are unsuccessful may have a different opinion. In the UK and perhaps in some other countries, there has probably been insufficient weight place on the acquisition of knowledge compared to the gaining of experience in nephrology in the past; the introduction of specialty exam should help to redress the balance. 2. Is the exam likely to become a compulsory part of European Nephrology training? The exam is not compulsory and was never planned to be obligatory. For most countries it is likely that possession of the ECN will be seen as a ‘plus’ and as an objective measure of attainment of a good level of knowledge in Nephrology. 3. What resources do you suggest candidates make use of in their exam preparation? 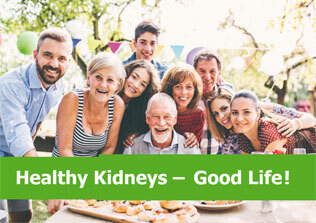 Like all examinations, it is expected that candidates will prepare thoroughly, paying particular attention to aspects of nephrology of which they have more limited experience. The ‘Updated programme for harmonization of training in nephrology in the European Union’ (http://era-edta.org/CKJ_Published_paper.pdf) gives information about the expected range of knowledge. Candidates may also wish to refer to the resources recommended for the UK SCE in Nephrology - the ECN is based on the SCE, though questions which are considered to be too specific to UK practice are replaced. Web pages for the Nephrology SCE (https://www.mrcpuk.org/mrcpuk-examinations/specialty-certificate-examinations/specialties/nephrology) give indications of available resources and sample questions, much of which is applicable to the ECN. Although performance in the ECN will be improved by extensive reading, doing practice questions and attending preparatory courses, it is advisable that candidates have sufficient experience of nephrology (a minimum of perhaps 18 months) before taking the examination, as many questions require some clinical judgement. 4. Are there courses tailored to prepare for the exam? There are no officially approved courses for the ECN, or indeed for the UK Nephrology SCE, and those nephrologists involved in creating these exams are not allowed to participate in commercial courses. A Google search reveals a number of online or residential courses which, necessarily, are organised by nephrologists who have no experience of producing the actual questions for the exams. we cannot comment on the quality or usefulness of these courses. The Renal Association (of the UK) runs the residential Advanced Nephrology Course in Oxford in January of each year. This is not specifically aimed at preparation for the SCE but I know that many candidates have found it useful. Please don’t regard this as a ‘plug’ for the Advanced Nephrology Course - it is just an honest attempt to answer the question! 5. How is the exam marked? Is there a set pass mark? The ECN is marked electronically with one mark for each correct answer (ie maximum score 200) with no deductions for incorrect answers. The pass mark is set using the same method as the UK SCE and further information about it is available at https://www.mrcpuk.org/mrcpuk-examinations/results/exam-pass-marks. There is no set pass mark and the pass mark varies according to the difficulty of each individual exam as assessed by the modified Angoff Method with Hofstee compromise. 6. What else do you think people sitting the exam should know? he exam is in English only; this was considered by the UEMS Renal Section as the only feasible option at present. Strenuous attempts are made to ensure that standard terminology is used and that idiomatic language is avoided. Recommended international non-proprietary names (RINNs) are used for drugs rather than trade names. Investigation results are given in SI units and a conversion table is supplied. Production of the exam involves multiple stages (after training, individual nephrologists write questions in a standardised format; every question is assessed, edited and accepted or rejected at Question Writing Group meetings; the Examining Board selects questions for the exam from a large question bank; the Standard Setting Group sets a criterion-referenced pass mark using the modified Angoff method; if necessary, the pass mark is adjusted after the exam using the Hofstee compromise method); nephrologists from numerous European countries are involved at each stage. Some candidates have found themselves to be under considerable time pressure to complete the 100 questions in each of the two 3-hour sessions, so it is important that individuals have sufficient English fluency before attempting the exam, and that they ensure that they can pace themselves appropriately to allow time at the end to check of their answers. Every question should be answered given that a complete guess has a 20% chance of success. However, well-prepared candidates should almost never be guessing between all the options: getting down to two options by a process of elimination gives an average of a 50% chance of getting the right answer. The ECN may be criticised for including questions based on opinion rather than solely on evidence. Unfortunately, if we were to stick only to strong evidence, it would be impossible to test large parts of the Curriculum! However, the opinion is not that of a single question-setter, but the balance of opinion of about 20 established nephrologists from various European countries, and from a wide range of backgrounds, who have been involved at one stage or another in assessing every question. Questions might also be criticized for ambiguity but the ‘Best of Five’ method used in the exam is based on choosing the best option of those given, not the only correct answer among four obviously incorrect options. Again, it is the combined judgement of all those who have taken part in the question setting process that one option is definitely better than the others given. Please remember that the ECN is based on a curriculum which may be wider than the scope of nephrology training in some countries. For example, some knowledge of nephro-urological conditions and their treatment is expected, as is the ability to interpret radiological images relevant to nephrology practice and renal histology. awarded in a special session of the ERA-EDTA in the Madrid Congress 2017. 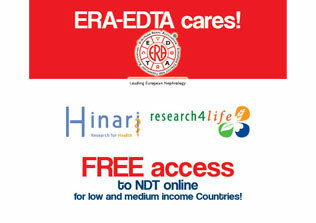 To stimulate the participation of young Nephrologists, the ERA-EDTA and the National Societies have collaborated offering several benefits. Registration for the exam is currently at the end of each year (6-7 weeks period between late Mid-October and beginning of December). The exam takes once per year place either the last day of February or the first day of March. Opinions expressed are those of Professors Fox and Cannata and do not represent the views of the UEMS or its partners in the ECN. 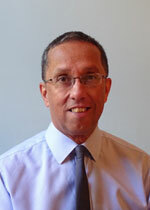 Dr Ferreira is a Specialist in Nephrology and practises in Lisbon. She was Chair of the Young Nephrologists' Platform between 2015 and 2017, having previously been a board member from 2013. She sat (and passed! )the ECN in 2017. 1. Why did you take the exam? I finished my residency in middle 2011 and took my final examination at the beginning of 2012, when I became specialist in Nephrology. In Portugal, in order to become a Nephrologist, all residents undertake do a final 3-days examination with CV discussion, theoretical questions and a practical exam with a patient. When I heard about the 2017 ECN, I decided to do it to test my knowledge from an International / European perspective, to update myself after 5 years of specialization and because we never know what may happen in the future! I thought that this examination would be a positive in the event that I apply for a job in another my country. Additionally, I think having a standardized examination for all nephrologists is good, because it will keep us updated, and ultimately help us treating patients in a similar way according to the most recent recommendations. 2. Over how long did you prepare for the exam? Was this enough time? The exam was on 1st March, and I started to prepare for the exam in the second week of January. I didn't had time to study every day of those 51 days....because I have a family (2 kids, a husband), have to work at the hospital, faculty, dialysis clinic... The day before I thought: "I should have studied more..." But I passed, so I guess yes, it was enough. And I think the exam is more practical than theoretical. 3. What resources did you find useful to study/prepare? I took the exam with some colleagues. There were 6 from my department who sat the exam and we all passed. We all studied witha text book (Comprehensive Clinical Nephrology) and outstanding review articles. We divided the curriculum into different themes and each of us looked for 1 or 2 good review articles about our theme. Also, we looked for renal pathology images. 4. Could you explain if sitting the exam was a useful experience or not? ell...It was tiring! We have to answer to 200 questions: 100 in a 3h period plus 1h for lunch plus 100 questions in another 3h period. It is less than 2 minutes per question. The questions are in English, in this first exam the units were different from the ones we use in Portugal (creatinine, urea, glucose, phosphorus, PTH, etc )*, so it was hard to keep focused. I left with a bad headache! 5. What else do you think people sitting the exam should know? It is a practical exam, although with some theoretical questions. You must know the most recent guidelines for the treatment of some diseases. Also, you must be familiar with images from kidney biopsies. Good luck! Opinions expressed are those of Dr Ferreira and do not represent the views of the UEMS or its partners in the ECN.